Located on the pristine white sands of Danang beach & 10 minutes from Danang Airport, Premier Village Danang Resort managed by AccorHotels is a perfect place for leisure or corporate functions. The resort features 111 pool villas with spacious en-suite bedrooms, dining and living areas and kitchenette. Guests can relax by the beach, enjoy two outdoor swimming pools, a spa and fitness center, a range of sport activities, kid's club, restaurants and bars. Danang is located in the Central of Vietnam and is known for its pristine sandy beaches. The city is surrounded by many interesting attractions such as Hoian, My Son, the imperial capital of Hue, Ba Na Hills, Marble Mountains, the Linh Ung Pagoda. Ultra-modern villas, each equipped with a large private pool and gourmet kitchen facilities. In-Villa BBQ dinning is an experience not to be missed. Situated on the picturesque My An Beach, relax with a "Beach Life" retreat. 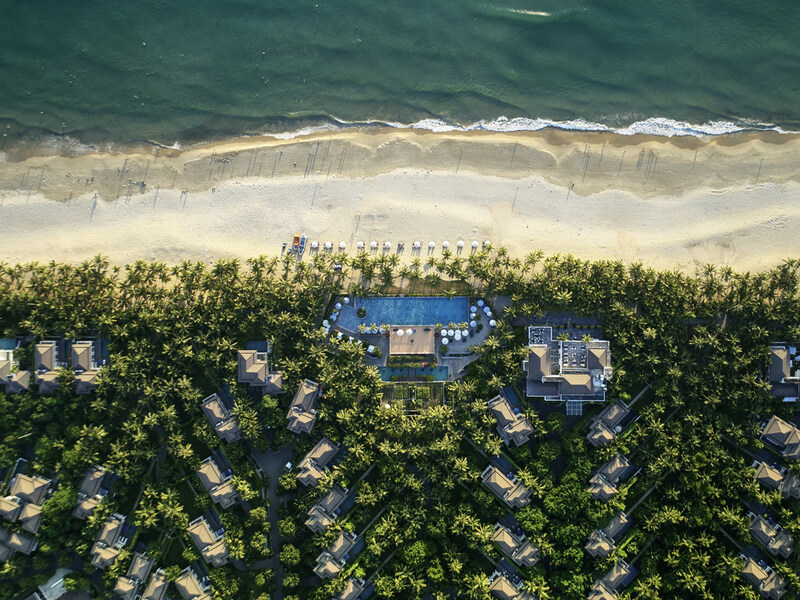 The Premier Village Danang Resort features beautifully appointed villas, with spacious bedrooms, a private plunge pool, dining and living areas and fully equipped kitchen. Enjoy the freshest catch of the day at our modern and stylish seafood restaurant, while enjoying the views of the South China Sea. The restaurant features a live seafood aquarium, grilled seafood display and a selection of sushi and sashimi. Only steps away from a very private beach with stunning panoramic views, designed sun lounges, a 'cool down -environmentally chill out' swimming pool and a classic international pool-bar menu all combined for a lazy day of relaxing. The IMG-managed and Luke Donald designed, Ba Na Hills Golf Club is one of the best Golf Course in Asia and just within 25-minute drive from the Resort. The Resort-located-counter-service will arrange everything including round-trip transportation.